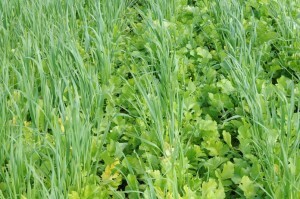 Of the 13 plants we are testing in SPOC, 10 of them are often used as cover crops. Cereal Rye is thought to be the best cool season cereal cover for absorbing unused soil nitrogen that would otherwise wash out of the system. It is a dynamic crop that has been used in many different cover crop systems, offering benefits including erosion control, additions of organic matter and weed suppression. Winter Barley is often used to protect soil from erosion, provide weed suppression and act as an input of green manure and organic matter in the cool season when cultivation of a grower’s cash crop isn’t possible. Radish is a plant that has been growing in its appeal as a cover crop in recent years because of its ability to protect from erosion, scavenge nutrients, suppress weeds, and alleviate compaction while creating far fewer of the challenges associated with residue in many other covers. White Mustard is preferable as a fall seeded cover crop that winter kills. So, while mustard offers benefits such as addition of organic matter, the breaking up of hard pans, weed suppression, etc., plants won’t survive the winter and fields will be better prepared for spring planting. Crimson Clover is a legume that is often used to provide spring nitrogen for full season crops. 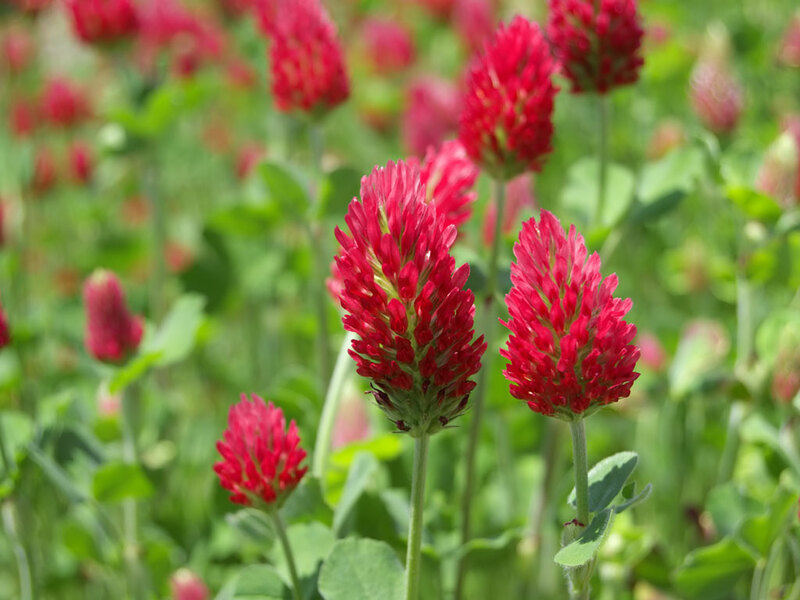 Red Clover is a very common cover crop that is known for fixing nitrogen, protecting soil from erosion, suppressing weeds, helping improve soil tilth, as well as providing forage. Triticale is known for its excellent value as forage for grazing livestock. The plants also leave a heavy residue on the soil offering good weed suppression and protection from erosion. Pearl Millet is a warm season annual grass that is often used as forage. 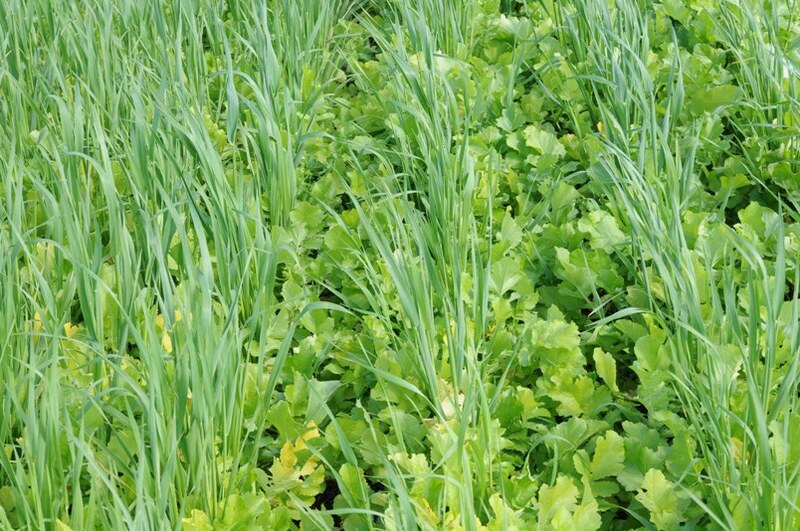 These plants are known for having less of a demand for nutrients than other cover crops, making them potentially useable on lands unsuitable for other covers. It is primarily used as a weed and nematode suppressor, as well as for protection from erosion. 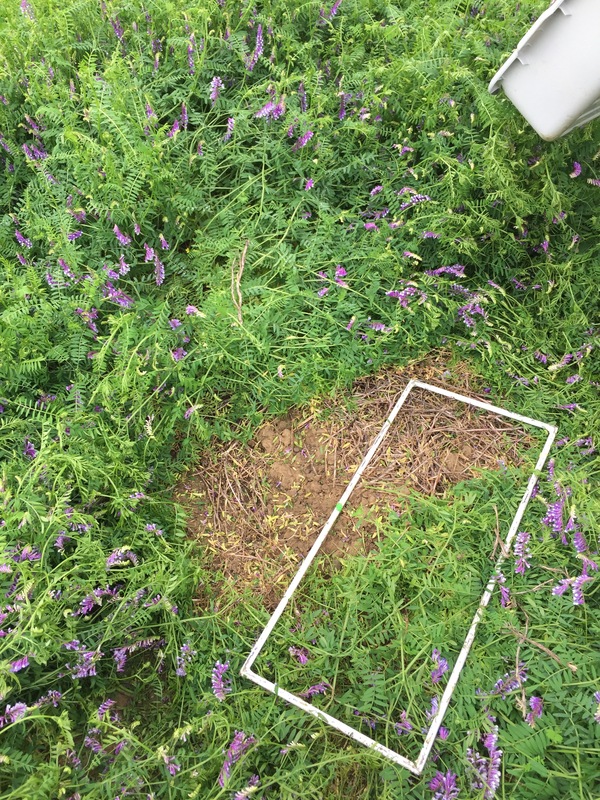 Hairy Vetch is a legume that fixes a greater amount of nitrogen in contrast to other cover crops. As plants grow they are known for spreading out and become very dense. They offer very good weed suppression and protection of soil erosion. 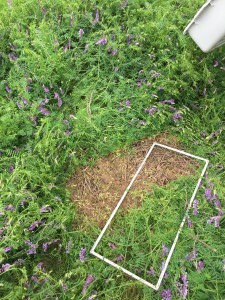 Vetch can also be harvested and used as forage. Annual Ryegrass is usually used a ‘catch crop’ because it is known for having a dense shallow root system that can tolerate compacted soils. ‘Catch’ crops are crops that have a particular capability of absorbing nitrogen that would have otherwise washed out of the soil and been lost from the system. Annual Ryegrass also has other benefits including erosion control, improvement of aggregate stability and compaction prevention.